Tommy Seebach made another appearance at Eurovision in 1982. After trying it with 'Disco tango' and 'Krøller eller ej', this third effort was a piece of synthpop done in Eurovision style: hyperactive and with Danish lyrics. The title means something like 'Hip hooray it's my birthday' and it is a typically happy song. 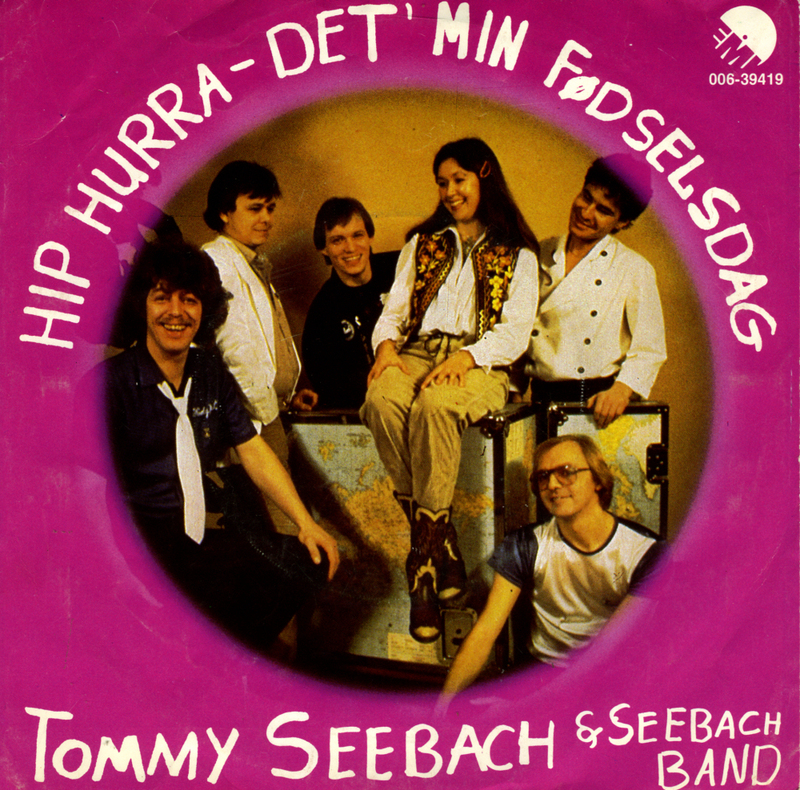 Despite all this fun, Tommy Seebach was a kind of tragic figure in Eurovision: despite participating four times, he never really had a big success and apparently he had to deal with alcoholism and other private problems. Even the Danish didn't always treat him like the hero I always thought he was. His musical legacy still sounds like a lot of fun and games. And of course it's better that way. I first saw part of this song in a documentary about the Eurovision Song Contest some 20 years ago: a large, slightly sweaty man turning purple as he was belting out the last few seconds of this song. It makes the high notes of Johnny Logan look like kids stuff: here was the equivalent of Joe Cocker being strangled while having surgery at his prostrate while singing 'With a little help from my friends'. The single was pretty hard to get, though. I wasn't prepared to pay too much for it so the few copies I ever saw I always passed on. Until this weekend! And indeed, on record these last few seconds still sound very impressive. For about ten years, I've seen a record dealer from Denmark in Utrecht every six months, with a decent Eurovision collection. The only reason that I never bought anything from the man - although I was tempted from time to time - was the fact that his prices were too high. Starting at 4 euros, an interesting title would easily cost you 10 euros or more. Much to my surprise, this weekend he was selling off all of his singles for just 2 euros. I guess he is stopping his business. Good news for me though; I got my hands on four singles that were missing from my collection, and this one is perhaps the most interesting of the four. 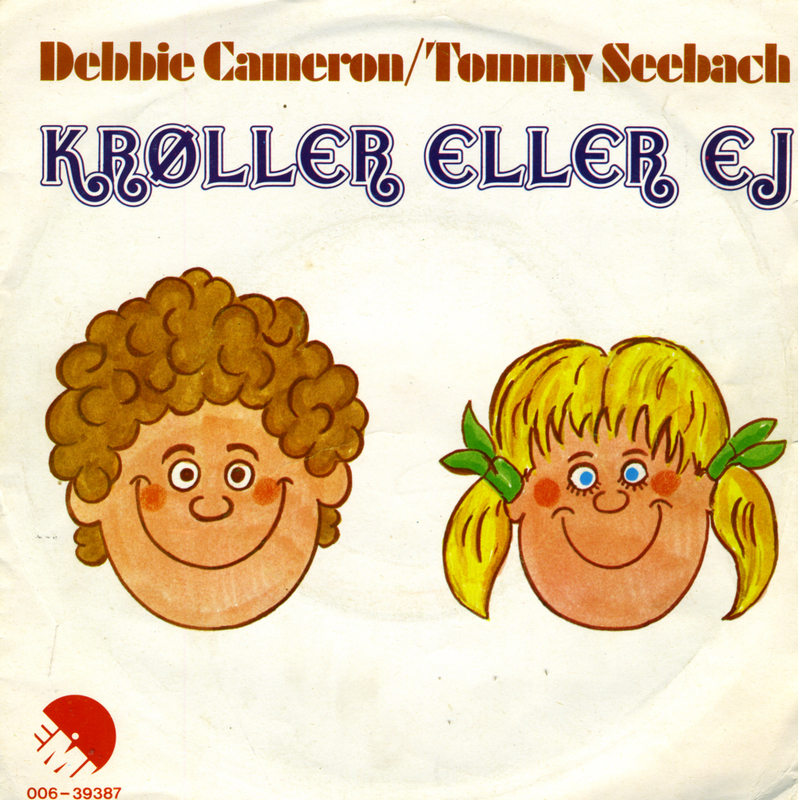 Tommy Seebach is a Eurovision icon and 'Krøller eller ej' was one of his Eurovision successes. An overly hysterical Eighties production, but very amusing nonetheless. Marty Wilde's 'Abergavenny' is a well-known hit from 1968 in most European countries. It comes from the album 'Diversions', also released in 1968 and very much in need of a CD release. But little did I know that another single was taken from that album. I was at a record fair this Saturday and while walking past some dealers I suddenly spotted a stack of singles at the side of one stall. 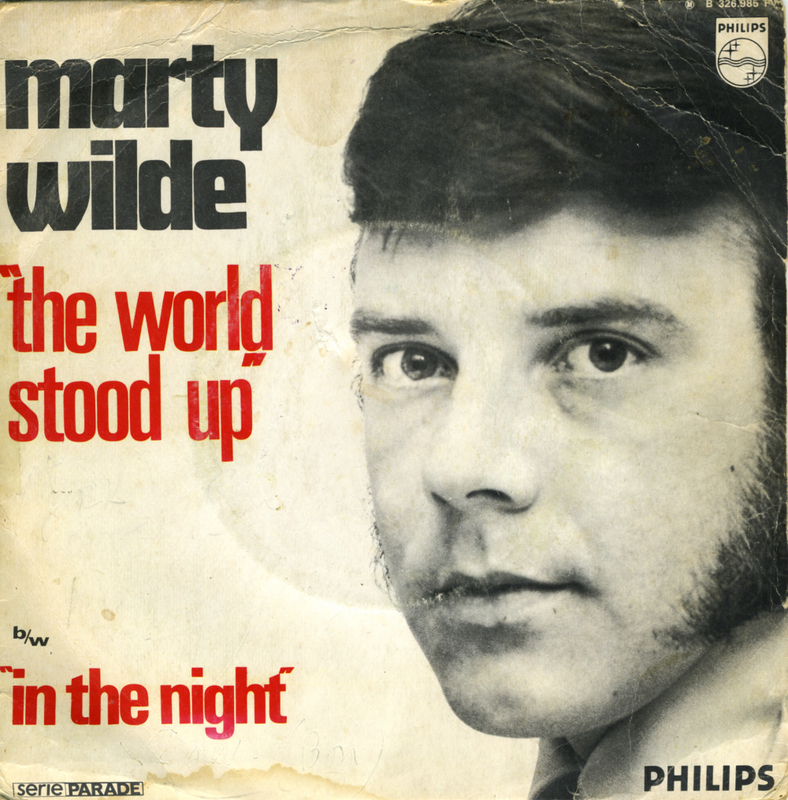 On top was this one: 'The world stood up' by Marty Wilde. Well, obviously I had to have this one and I was pleased that it didn't cost a fortune. 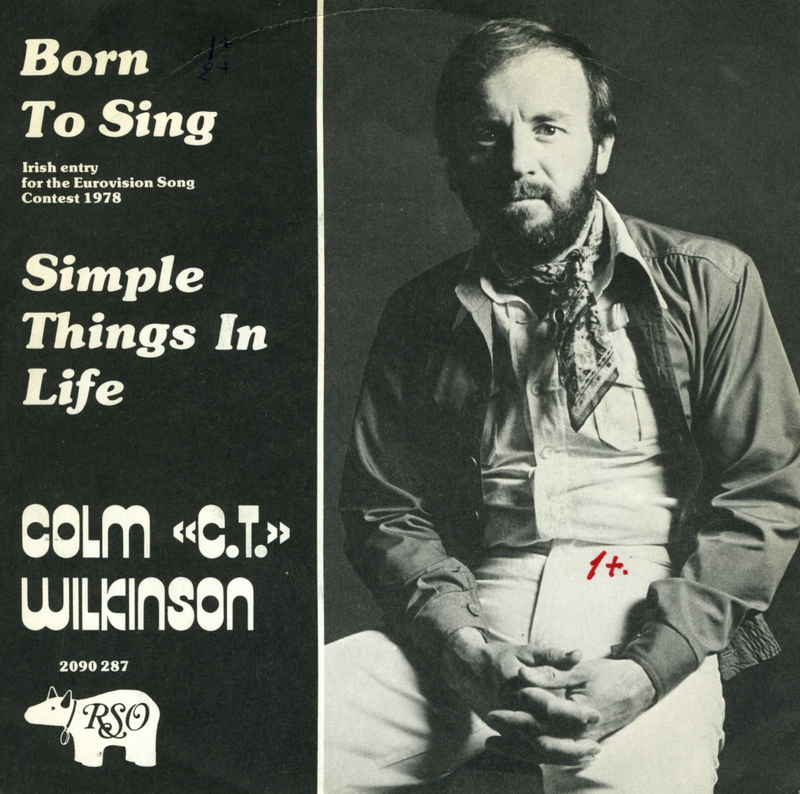 Backing vocals on this track were performed by Marty's wife Joyce.